Youth Dance Celebration is a unique dance feast served with energy and panache! This popular annual event, now in its 14th year brings Waterford’s keen and dedicated young dancers together to celebrate their passion for dance. 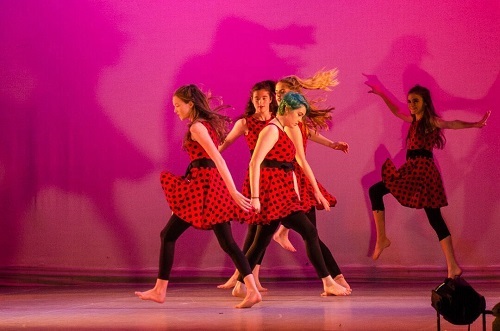 The variety of disciplines includes Classical Ballet, Contemporary Dance, Jazz, Hip Hop, Bollywood, Classical Indian Dance, Traditional and Modern Irish Dance, presented by students of dance from local dance groups and schools. Great family entertainment! This entry was posted on October 20, 2016 by waterfordarts in Dance, Demonstration, events, Garter Lane, music, Musical, Performance, Workshop/Up-skill and tagged Arts & Entertainment Waterford, garter lane, Garter Lane Arts Centre, music, waterfordarts.com, what's on in waterford, whats on waterford.